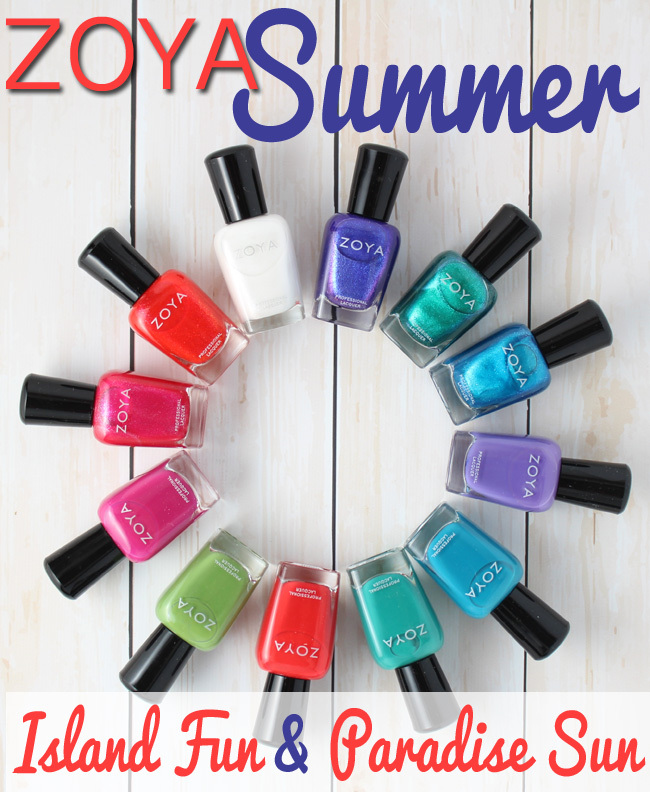 Zoya Summer 2015: Island Fun & Paradise Sun. Even though summer has come early in the weather department here in the Northeast, I am always in the mood for a tropical vacation. The just out Zoya summer collection embodies an Island getaway and is all about the Island Fun in the Paradise Sun - which just so happens to be the names of this years collections. Island Fun is the collection with six new creamy colors. They are bright shades, perfect for summer of course, that are made to remind you of a tropical getaway! I love that the bright colors hold bright and true even in the cream formula. It is one of the things that Zoya does best. Paradise Sun is the metallic partner to Island Fun. The six new shades that make up the collection are full on color with a gorgeous micronized metallic sheen. I love mixing a cream and metallic by wearing a creamy shade with a metallic in a coordinating color or totally opposite shade on one nail as an accent. My favorite combination so far is with the teal shades using Cecilia and Selene on my ring finger. Zoya nail polish is big5free, meaning it is made with no formaldehyde, formaldehyde resin, dibutyl phthalate, toluene or camphor. Each nail lacquer sells for $9.00 in top salons, spas and on zoya.com.